Headed to Toronto and looking for allergy friendly restaurants for my teen son who is allergic to egg and tree nuts. I’d prefer a nut-free restaurant, if possible. We’re super excited to try Hype Food ( he had an amazing experience at Zero8 in Montreal two years ago), but would love other options as well. If you eat meat, look up Swiss Chalet. I am only allergic to pistachios and cashews for tree nuts. They do serve a pecan pie but I’m not sure if it’s made in house. I am under the impression it is not, but double check if pecans are an allergen. I linked to their menu, and you can use the search icon to filter out dishes containing TN or egg. You can also find contact info to ask your own questions there. Harvey’s (burger place) is another potential. Maybe Red Lobster, they have an informative allergen chart that is a good starting point. I’d want to ask further questions though. I haven’t been there due to shellfish allergies. Allergy Mom has a list of allergy aware brands that might be helpful. It’s not exclusively Canadian, but there are some listed. Freddo/Vadeboncoeur have good chocolates made in a pn & tn free facility. You’d need to check into egg. They have holiday novelties, Mini bites and chocolate chips for baking. I *think* I have seen them at Shoppers, I will check next time I go to the pharmacy. I know you mentioned Chapman’s, but just wanted to say that these are my favourite. Canadian Favourites is another place to look for ideas. I’ll be back if I think of more. What sort of things are you planning while here? If you’ll be walking around downtown, you might like walking down Graffiti Alley. Let us know if you need or want suggestions. You might also want to pm candyguru. I think he might have some food suggestions to add, but he is not on regularly so might not see this in time otherwise. SL and catelyn may also have some good ideas. Don't forget about the new Hype Food Co!!!! Our kitchen is free from gluten and top allergens including peanuts, tree nuts, wheat, milk, eggs, soy, sesame and seafood. They DO use coconut, though -- it is NOT a tree nut in Canada. Thank you Ciel and SpaceCanada for the suggestions. I’ll start exploring. My son is allergic to all tree nuts, but not to coconut. We are definitely planning to eat at Hype! Graffiti Alley is literally an alleyway downtown where graffiti is legal so artists are free to put up their art there. There are some really amazing murals and pieces there. I went on this free walking tour last year and enjoyed it: Tour Guys They have some other interesting tours as well. -Another restaurant idea (fast food): Smoke’s Poutinerie. Check ingredients and toppings but main ingredients are potatoes, gravy and cheese curds. Just saw this now as haven't been online here a while. Moxie's restaurant is perfect for food allergies.... one of the best restaurants we went to regarding allergy awareness. We go there often and my kids have a mixture of nut, egg, wheat, and dairy allergies. They are very allergy aware and the manager comes to your table to verify your order, answer questions, and deliver the food. The kids menu includes items such as grilled chicken and pasta (you can get a dairy free tomato sauce and also egg free pasta). The ice cream sundae dessert is nut-free, egg-free and gluten-free. We never had any issues at Swiss Chalet.. my daughters love the quarter chicken and safe sides such as a baked potato or corn or mixed veggies. We also had good experiences at the Old Spaghetti factory in downtown as they had egg-free, nut-free pasta. 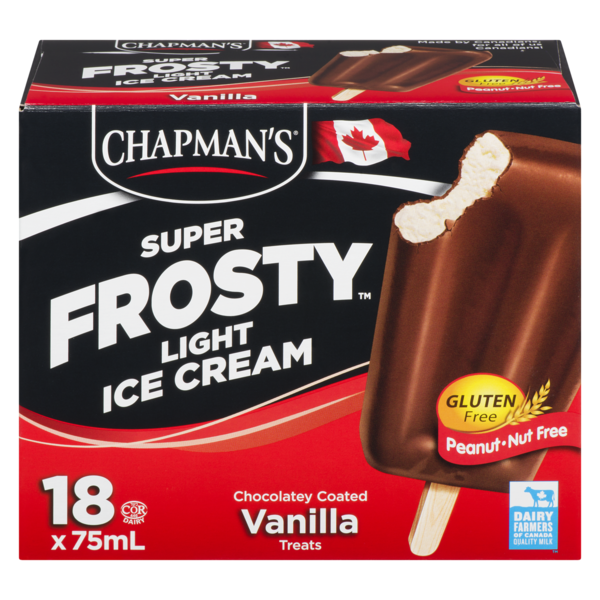 There are lots of allergy aware ice cream products made by Chapmans we eat all the time. 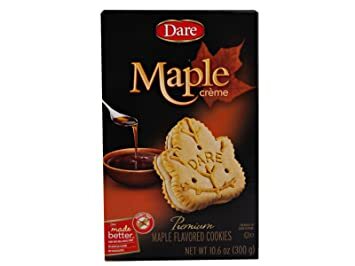 Dare makes allergy aware cookies and candies. 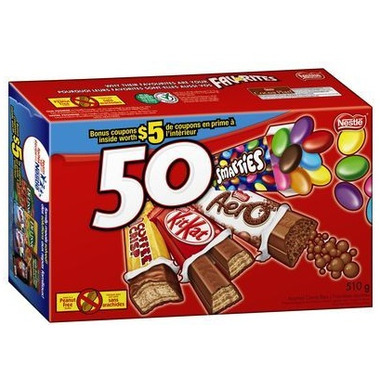 Nestle makes allergy aware chocolates (ie: some sizes of Aero, Kit Kat, Coffee Crisp, Smarties and Mirage). Costco chocolate chip granola bars are nut-free. Made Good granola bars too. Some Laura Secord chocolate is nut-free. Thanks, Ciel, for the fun ideas — we’re getting really excited! And Candyguru, your post made me want to cry — happy tears — because there’s nothing my son would like more than to eat at a restaurant that’s new to him. We will check out Moxie’s and New York Fries for sure, and from the article I found that Pizzaiolo can work as well. And we already were planning on Hype, so he’s very excited. We buy Made Good bars here in Chicago, but I’ll look for a Costco to get him some variety. Are you saying that the Costco chocolate chip granola bars are not made on shared lines? I’ll also look into the candy. A quick question, when something is labeled “nut-free” in Canada, does this refer to tree nuts as well as peanuts? "nut-free" labels have no standards here, and may include tree nuts and/or peanuts - or simply that they aren't blatant ingredients. Peanut free does not automatically mean tree nut free, either. (Many people incorrectly assume this.) Always call to check for shared lines or facility if those are a concern for you. Even peanut-free logos don't mean anything other than peanuts aren't an added blatant ingredient, and the manufacturer takes reasonable efforts to prevent cross contact. So, something with peanut-free cannot also contain a 'may contain peanuts' claim. But, those may contains statements are completely optional, just like in America, so they can use one and choose not to use the other, if that makes sense. I see conflicting labels all the time, though (and report them to CFIA.) Certified gluten-free, made on shared equipment with wheat is the most common one, though I've seen nutty conflicts as well - super frustrating. I've seen varying reports on the Costco granola bars. They're labelled peanut-free. Some people claim they are also tree nut free whilst others say they are made in a shared facility with tree nuts. Ugh. Definitely call, though Costco's customer service is all CYA nonsense most of the time. Fingers crossed you get clear answers to your specific questions. Dare products have very clear labels that they are produced in a PN/TN-free facility. Three Farmers brand dried chickpea snacks are also free from top allergens, with incredible customer service - give them a call if you want to find out more. Anything from Superstore/Loblaws brands (no name, President's Choice) or IGA/Sobeys (Compliments brand) will have EXCELLENT customer service regarding allergen information: shared facility and shared lines details! Never trust their labels, though - always call in. Another vote for Moxie's!! They're super allergy-aware at eery location I've been to. Ask to speak with the manager or chef. What is the weather like in late April? Other, more local, members can chime in, but I'd say highs of around 10-14C and lows of 1-5C. Yeah, that sounds about right. It can be a bit of a gamble, and also it will always be cooler closer to the lake. Walking around downtown in areas that have a lot of tall buildings get that wind corridor effect. I’m not sure that I’ve ever pinned down exactly where you are Mary, you’re always mentioning jaunting off to this or that city that seem so far apart to me when I look at a map, so I assume that you’re triangulated somewhere in the middle. I would guess that your climate is probably similar.